2018 Nissan Versa Sedan SV - McGee 136 Point Certified Inspection. REDUCED FROM $14,805! PRICED TO MOVE $2,900 below Kelley Blue Book! FUEL EFFICIENT 39 MPG Hwy/31 MPG City! Brilliant Silver exterior and Charcoal interior. CD Player, Bluetooth, iPod/MP3 Input READ MORE! iPod/MP3 Input, CD Player Rear Spoiler, MP3 Player, Remote Trunk Release, Keyless Entry, Child Safety Locks. Nissan SV with Brilliant Silver exterior and Charcoal interior features a 4 Cylinder Engine with 109 HP at 6000 RPM*. Clean Autocheck Report! Autocheck 1 Owner, Remainder of Drivetrain Warranty. Reduced from $14,805. 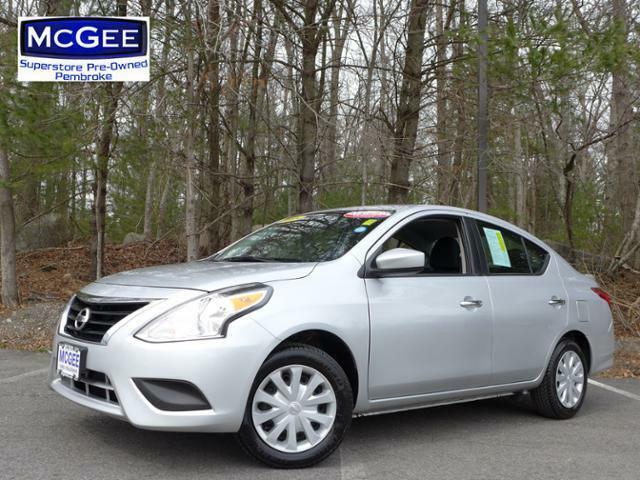 This Versa Sedan is priced $2,900 below Kelley Blue Book.